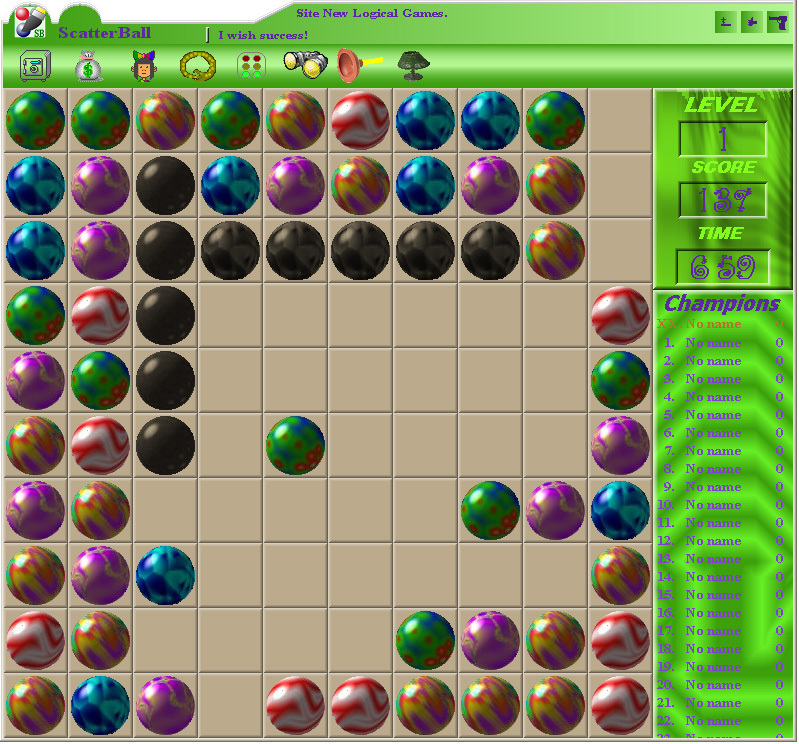 The goal of the game is recolouring multi-coloured game blocks placed on a field on grey colour. The recolouring occurs if in one or several directions there were four or more blocks of one colour. The problem is that the blocks scatter in the different sides and it is not so simply to collect them together. Besides the recoloured blocks are not deleted from a field and prevent execution of the task. There is a possibility of a choice from 9 levels of complexity in the game.